Previously Sony Mobile India confirmed that they will launch the new flagships Xperia Z5, Xperia Z5 Compact and Xperia Z5 Premium in India on Oct 21. So today Sony Mobile India has launched Xperia Z5 Dual (E6683) and Xperia Z5 Premium Dual (E6883) on India. 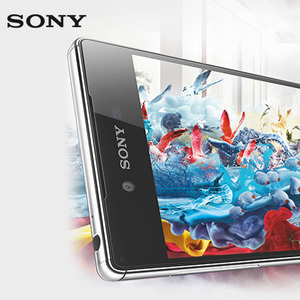 So Xperia Z5 will go on sale on October 23rd at the price point of Rs. 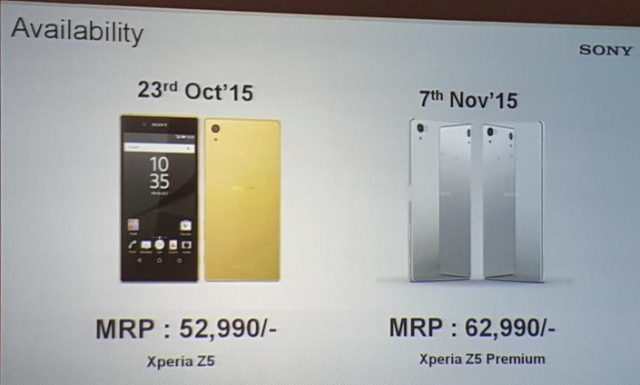 52,990 (£526, €717, $813) and Xperia Z5 Premium Dual on November 7th at the price point of Rs. 62,990 (£626, €852, $967). Unfortunately White color is not available for the Indian market and only three colors including Graphite Black, Gold and Green are available For Xperia Z5. Also Xperia Z5 Premium Dual is avaialble only with 2 colors Gold and Chrome without the black color.